Description: Star of Bethlehem is a perennial bulbous flowering plant of the family Hyacinthaceae. It can reach a height between 4 und 30 inches. It prefers open grassland, roadsides but also forests. It has six to ten leaves, linear with a white line on upper surface. 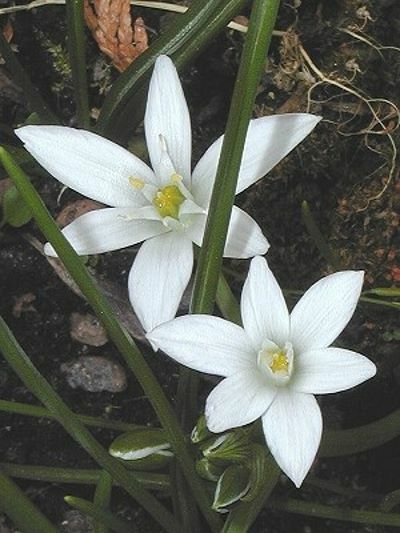 The flowers group in a corymbose raceme with 6-20 flowers, and are white with a green stripe outside. They bloom from April to May. One has not yet coped with a mental or physical distress, the soulÂ´s comforter.